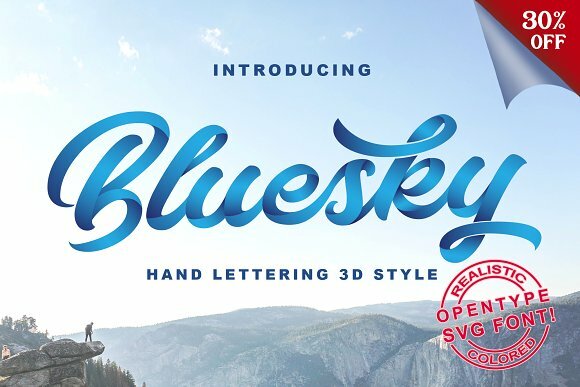 Hey guys, this is my new product called Bluesky OpentypeSVG Font! After I know that there is a new trend font that is opentype SVG, I try to explore by making a font script with shadow detail that looks 3-D. I made this font include uppercase, lowercase, number, punctuation, alternative character and multilingual character. This font has basic blue color but you can change the color like a you want please see tutorial video to use this font very easy to use you just typing and change color like a you want :). Very recomended use to a logotype, display, title, packaging, headline, poster, Bussiness card and etc.